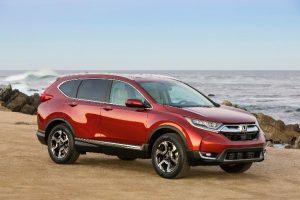 I received some interesting news recently about 2017-18 Honda CRVs equipped with Advanced Driver Assistance Systems (ADAS) and a rain sensor (FW04540-41). Although I can’t confirm at this time if this glitch applies to all Honda models, if the Honda model you are working on has both ADAS and a rain sensor, then I suspect the following procedure will be necessary when replacing glass in those models as well. Dealers will tell you that all Honda model vehicles will require OE glass be installed before they can be recalibrated. With that being said, those of you who recalibrate with your own purchased tool may find that recalibration is possible with aftermarket glass, if the glass used is of good to excellent quality. The issue is the rain sensor. If you install an aftermarket windshield, the rain sensor still may not work, even though the recalibration was a success, and even though it worked during the pre-inspection. The reason for the malfunction is what is called the Body Control Module (BCM). If the body control module does not confirm the automatic lighting/rain sensor, the automatic wiper system does not work. This means that the BCM must be reset to recognize the lighting/rain sensor. How do we reset the BCM? In this case, the only way to reset the BCM is to disconnect the battery. I know, disconnecting the battery should be discouraged whenever possible. Disconnecting the battery means that memory systems built into the vehicle can, and in most cases, will be lost. You will have to explain to the vehicle owner the possibility of lost memory to favorite features. However, here’s what needs to be done. The radio can be reset by depressing the power “on” button 3-5 seconds. 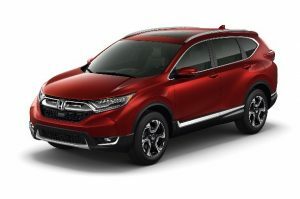 After talking to several Honda dealers and dealer glass installers, I have heard that if an OE glass is installed, this BCM reset process rarely needs to be completed. So, you have a choice, stand around for 15 minutes waiting for the BCM to reset, or simply buy OE glass and be on your way. I will let you know when I learn more. I am frequently asked, “What is better, original equipment manufactured (OEM) auto glass or aftermarket auto glass (ARG)?” This question is not as easily answered as one may think. All glass installed in a motor vehicle must pass federal regulations for safety as described in Federal Motor Vehicle Safety Standard (FMVSS) 205 and more specifically in ANSI Z26.1. Though federal regulations demand certain safety requirements, all glass is not the same in fit, construction and appearance. Let us look at some of the differences. First of all, we must define manufacturing and fabricating. Manufacturing means the making of a product from raw materials. In the case of glass, a manufacturer takes silica sand, soda ash, limestone, dolomite and other additives and creates a product called annealed glass. Fabricating is a process that takes the result of manufacturing (annealed glass) and creates a finished product to be used by the end user. In our case, that would be laminated windshields or tempered side parts. The way auto glass is fabricated is the difference between perfectly fitting parts and not so perfectly fittings parts. Auto glass fabricating can be categorized under three headings, original equipment (OE), original equipment manufacturers (OEM), and aftermarket replacement glass (ARG). To understand auto glass quality, we must first understand what is meant by these categories. When a vehicle manufacturer designs a vehicle for production, they select vendors to supply their assembly plants with the parts necessary to construct their vehicle. The vendors are selected based on price, technology capabilities, quality control processes and production capabilities. These vendors are called OE producers. The vehicle manufacturer then details, to the OE producer, the parts’ specifications for production. Once the part is produced, the vendor delivers the part to the assembly plant and/or to the vehicle manufacturer’s parts house for distribution. The difference between an original equipment manufacturer (OEM) and OE is that the OEM is an OE producer for some makes, but not necessarily for the particular vehicle being worked on. For example, Carlite is the OE manufacturer of glass parts for Ford Motor Company vehicles, but they also make parts for the aftermarket installations on other brands of vehicles like GM. Carlite is considered an OEM manufacturer because they are the OE supplier for Ford and meet the same quality control requirements of other OE suppliers. The only difference between an OE part and an OEM part is the way the manufacturer collects the specifications of the glass. The OE receives the specs from the vehicle manufacturer themselves and has the exact tolerances required by the design engineers, while the OEM must fabricate the specs from an obtained part. The OEM has the quality control in place to produce a well-fitting part no matter how they collect data so OEM fabricators are considered high quality producers. The aftermarket replacement glass (ARG) fabricators produce glass for all vehicles for aftermarket installation only. They are not considered OE or OEM manufacturers because they do not produce auto glass for vehicle manufacturers’ assembly plants. So, how does an ARG manufacturer obtain the specifications necessary to produce a well-fitting auto glass part? This is achieved by a process called reverse engineering. Reverse engineering is obtaining a part or vehicle from an independent distributor and then making measurements and patterns to construct their product. Neither vehicle manufacturers nor glass manufacturers will share the auto glass part specifications with the aftermarket producers, usually because of contractual obligations. Therefore, reverse engineering is their only recourse. Considering that reverse engineering is dependent on the accuracy of the original part, and the quality control built into the fabrication process, the possibility of mis-fitting parts is always a concern. Now that we understand the three labels used to describe fabricated auto glass parts, we can discuss the difference in each. I think that you can categorize this debate into a number of issues that are important to the customer, installer and/or shop owner. The safety built into the fabrication of the glass is controlled by the federal government and no glass company can deviate from that regulation and expect to sell auto glass in the U.S. What safety issues are regulated? 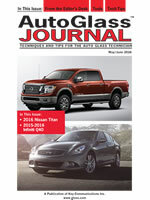 It would take another entire article to explain the requirements put upon glass fabricators. But, to simplify it to is lowest common denominator, it is the safety characteristics of fractured tempered glass and the protection offered by the lamination between the two layers of annealed glass that make up the windshield. So, whether the glass is OEM or ARG, the safety constructed into the auto glass part is regulated by federal safety standards. But that is where the similarity ends. The reason that there are aftermarket parts is for price competition. There is always a need for less expensive parts, whether that will be vinyl moldings that surround the glass edge, clips that retain the moldings or the glass part itself. How does an ARG fabricator produce less expensive glass parts? There could be a number of reasons, both positive and negative depending on your point of view, that the price can be less expensive for a similar part produced by the OEM. Less quality control stations during production means less labor costs. Materials purchased from off-shore suppliers means less material costs. Elimination of value-added hardware means less production costs. Inferior technology built into the part can mean less material and production costs. More efficient manufacturing processes means less production and labor costs. More efficient logistics means less shipping and delivery costs. If you ask an auto glass technician the kind of glass he would like to install he will always say OEM. Why? Because it fits every time, there are fewer customer complaints and there are no surprises to be resolved. If you ask an owner what kind of glass he would like to buy, he will say the least expensive and the easiest to get. Why? Because profits are better than losses, speed of delivery is important to beat competition and the less expensive part is easier to sell to the insurance and retail customer. The shop owner is confident that his technician can deal with a slight misfit of the glass and usually he is right about that. Any good technician can make adjustments to mis-fitting parts, but it will take training and practice to become proficient, and the little fixes take more time and aggravation in order to complete the job to the customer’s satisfaction. The most misunderstood issue when it comes to OEM v ARG is performance. The modern day glass part is a technological marvel with rain sensors, solar protection, hydrophobic capabilities and acoustical sound deadening. Many people involved with its replacement don’t even understand its importance to performance or protection. If asked, the customer will always request OEM glass until they’re told the price. Then they will consider other options. It is true that many performance-added items are not important to safety and if the customer does not want to pay the price of replacing those value-added items, they have a right to choose not to re-install them. However, some of the items built into the glass part are safety related, such as heads-up-display (HUD) or Pre-Applied Adhesive System (PAAS), and cannot be eliminated. While other performance features are misrepresented as the same, but are so inferior to the OE features that misrepresenting it as an equal to the OE could be a breach of professional ethics. An example of this is the solar-coated reflective part versus the solar absorbing part. One example is the recent issue brought up by the Auto Glass Safety Council (formerly the AGRSS Council Inc.) concerning the misrepresentation of a Pre-Applied Adhesive System (PAAS) part sold by a distributor (FW2525). The OEM part uses a pre-applied bead of cured adhesive on which the new bonding adhesive is to be applied. The ARG part ordered came with no PAAS but was labeled as a PAAS part. The dilemma is that if it was installed without the visible PAAS trim, the customer’s vehicle would not appear to be the same aesthetically, though it could be installed safely. If the technician applied an underside molding to make it appear to look the same as OE, then the molding would hinder the safety of the bonding bead of adhesive. When the distributor was asked about the absence of the PAAS their response was, “I don’t know but we sell a lot of ‘em.” Does that mean that all those customers don’t care about their moldings being missing? Or, does it mean that the glass was installed improperly? We only hope it was the former. Another safety issue is the paint band around the perimeter of the auto glass part called the frit. Nowhere in the FMVSS 205 or in the ANSI Z26.1 is the frit mentioned, though it is one of the most important surfaces on the glass part. The frit is where the bonding adhesive is applied to the glass. If the frit paint is improperly applied, then the windshield will not serve the role of restraint for the occupants or the backstop for the airbag if so designed. The OEM glass fabricators know the importance of the frit and its application because they are privy to the specifications dictated by the engineers. We know that many ARG fabricators know the importance of the frit, but do all fabricators know this important role? In summary, the modern day auto glass part is a technologically advanced product that must be installed perfectly by trained professionals to be a safe structural part of the vehicle’s protective cage. For all of the performance features to work perfectly and the fit to be aesthetically pleasing to the eye, the part must meet the specifications stated by the vehicle designers. The consumer who chooses the replacement glass for their vehicle should prioritize what is important to them when it comes to appearance, performance, value and safety. Then they can make the decision that is best for their particular needs.